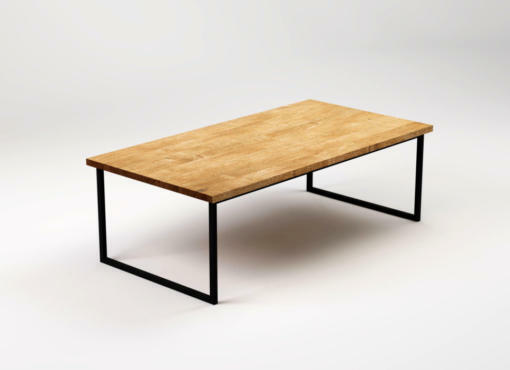 The Scandinavian style design and natural materials are the main features of the BASIC EN modern coffee table. It’s an example of a harmonious combination of metal and wood, and the soft composition of pleasant light colours. It’s available in a lovely, white-cream tone combination. 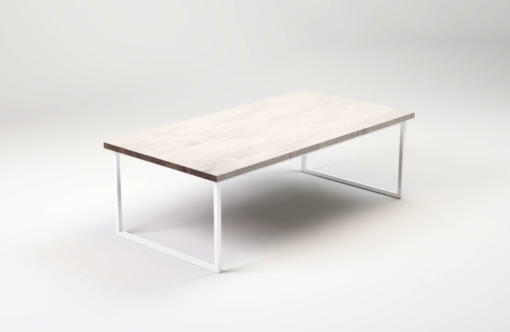 The rich colour of the bleached oak wood tones beautifully with the white steel. BASIC EN is one of our pieces of living room furniture from the BASIC Collection. It is stylish and timeless with classic elegance. Looks great in all modern interiors. BASIC EN has a simple form and a functional, minimalist style. 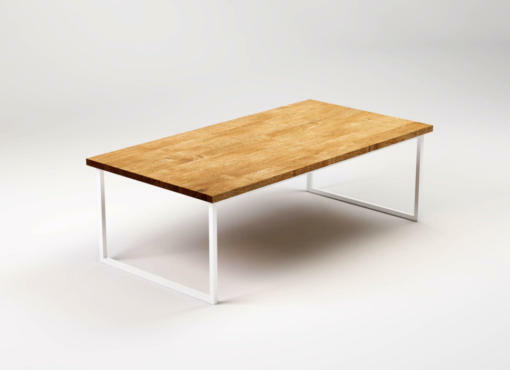 The unique feature of the table is a solid wooden top bleached with natural oils, which simultaneously impregnate the wood. 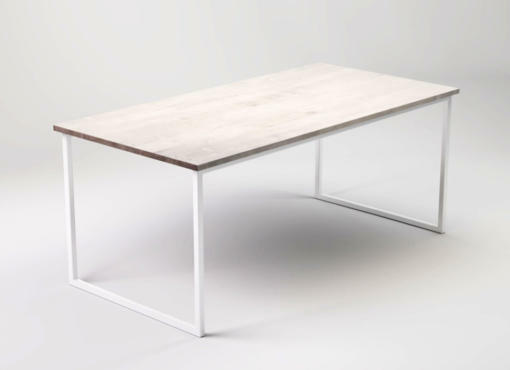 Furthermore, the table base is made of a steel frame. It has a simple, geometric shape, without unnecessary ornaments. Therefore, the construction is solid and light at the same time. 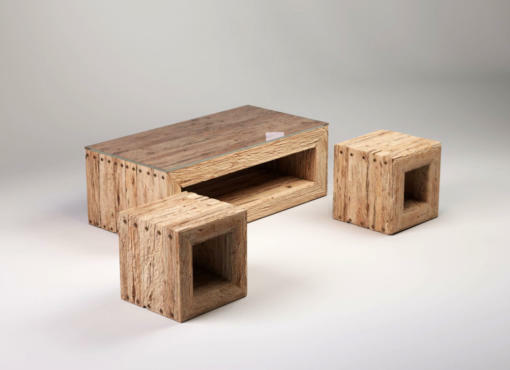 The coffee table is handcrafted of natural and eco-friendly materials. Good choice for the environment. The BASIC Collection images indicate details such as Wooden Birds designed by Kristian Vedel Solmer.